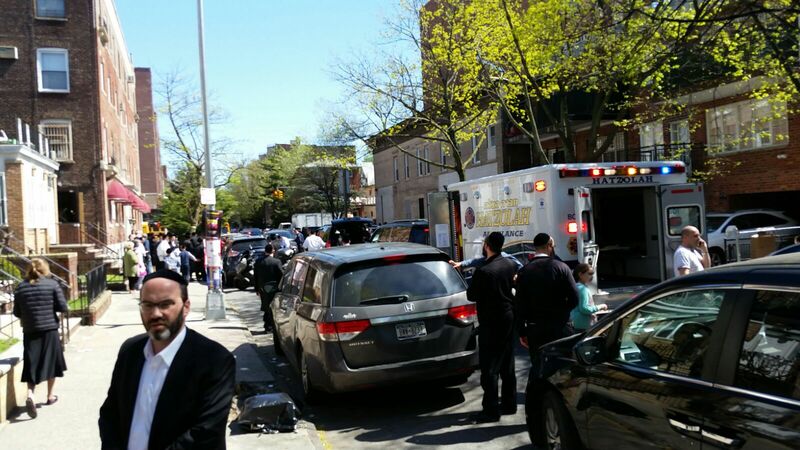 This afternoon, a child was hit by a car going down 54th Street, near 13th Avenue, in Boro Park, Brooklyn. The impact of the collision was so strong that the child was propelled and landed under an adjacent parked car. 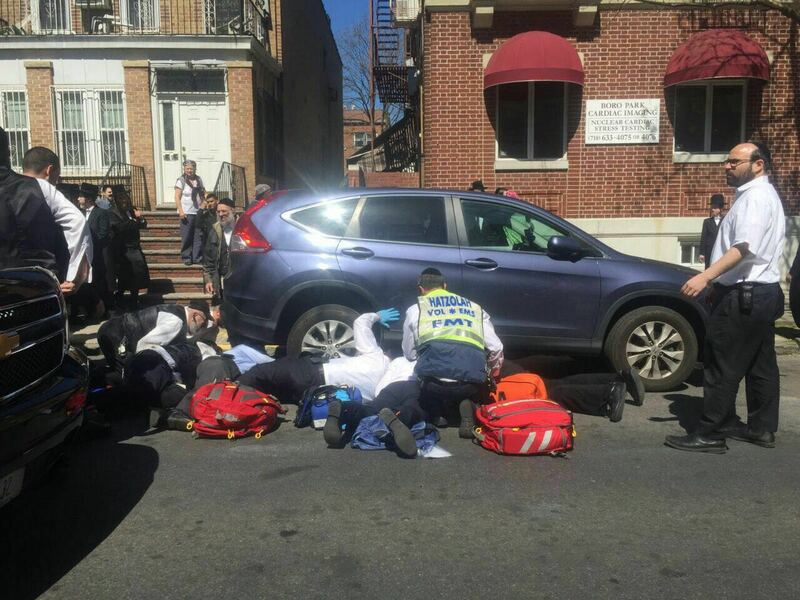 The child was pinned under the car and was extricated by Hatzolah paramedics, who arrived a minute or two after the incident occurred. 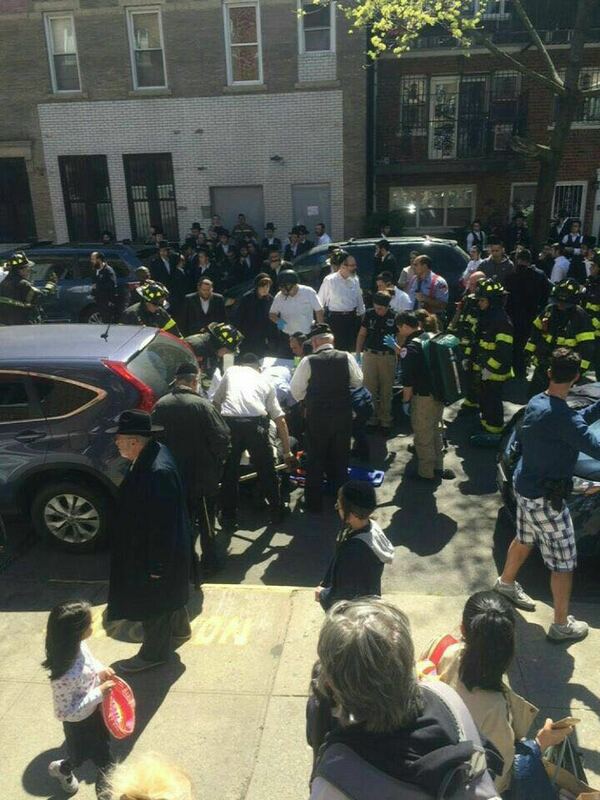 A large crowd of onlookers gathered as Hatzolah volunteers worked to remove the child and then load the stretcher on to the waiting ambulance. 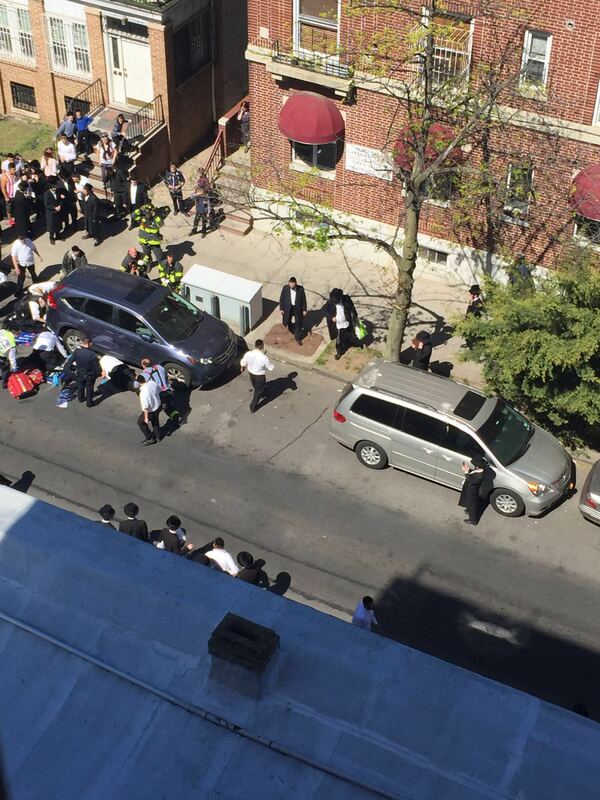 Firefighters from the FDNY were also at the scene to offer their assistance. The child was taken, in serious condition, to Lutheran Medical Center. 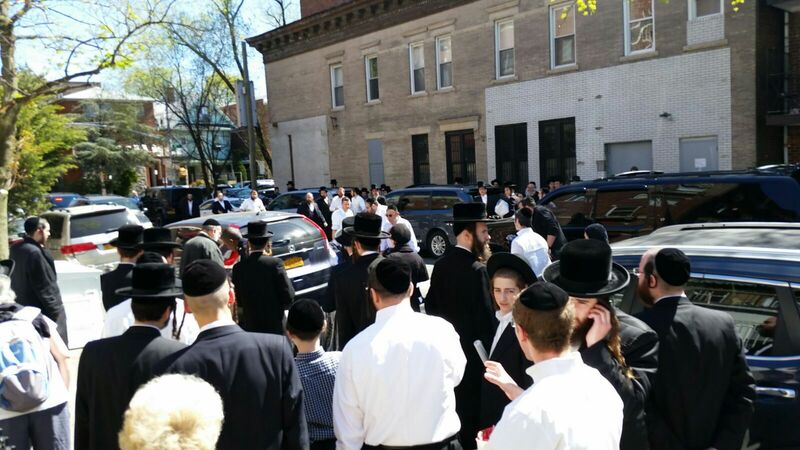 All are asked to daven for Berish ben Chana Rivka. May he have a complete Refuah Shlaima! 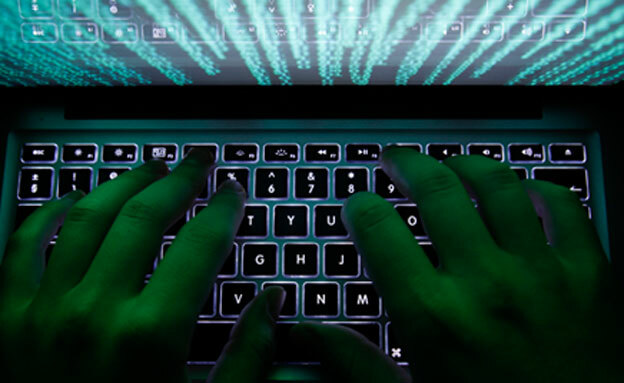 Why are you any different reading the same information online? 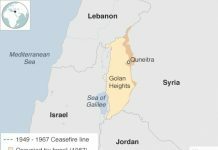 Please be Mispallel for Berish ben Chana Rivka.